One of my goals is to inspire you to travel not only abroad but in our own backyard, so this week I asked Michelle from Young Broke and Wandering to share her must do things while exploring Muslim friendly Exeter in the UK. There is no need to go far to explore culture or have fun. The UK has plenty of choices for travelling too. Exeter is one of the largest cities in the Southwest of England, located in Devon county and it has stolen my heart. Weather-wise since it’s located in the South it’s quite warmer than most of England. 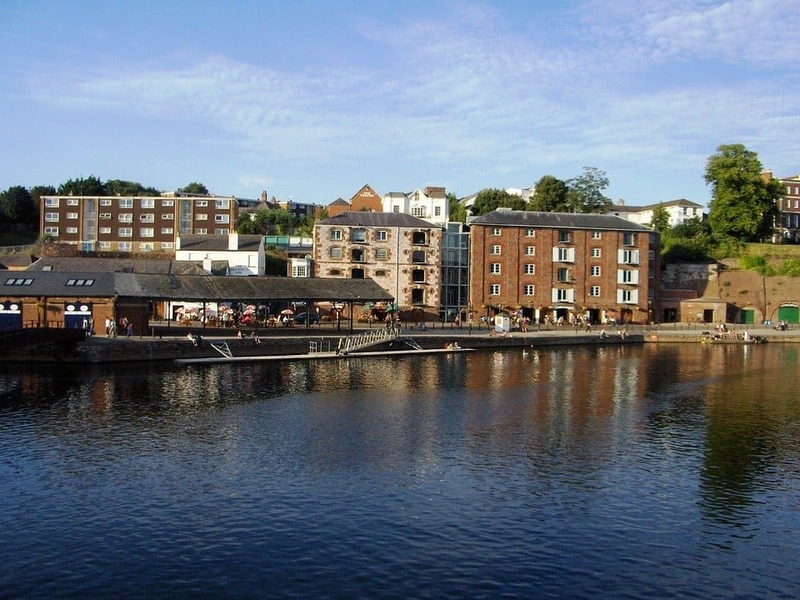 Exeter is a combination of some older original buildings and modern buildings – largely in part to the bombings from the World Wars. The original buildings and ruins that have remained are now protected since they’re all that is left of that time. If I could return to Exeter – I totally would in a heartbeat. Not a moment of second thought needed. I love visiting new places, but Exeter left such a wonderful impression its hard not to return. The Quay is an English term for a river in England. 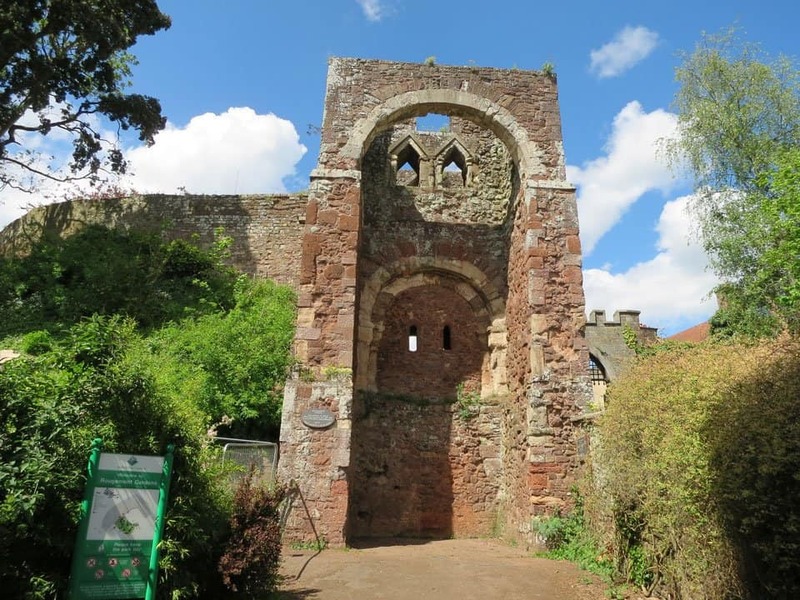 It holds one of the more picturesque locations in Exeter. Stroll down along the river and stop along the many cafes or shops. Or my personal favourite, on a nice cool evening it makes for a great running site! Kayaking, Canoeing, and even Rock Climbing is available at the Quay. If you’re there on a special night you may be able to catch a festival being hosted down by the Quay. My personal favourite was the Exeter Street Food Festival – being able to eat Mediterranean food with a cold glass of homemade Devon Cider is hard to eat. The Cathedral is without a doubt one of the larger tourist locations in Exeter. The architecture is stunning and screams “medieval”. The Cathedral does have a fee to enter – however if you visit during a service or evensong its free. Occasionally the Cathedral will host events as well for fundraising that are free to enter. Be sure to look up in the Cathedral as the roof is stunning. J.K. Rowling went to University at the University of Exeter and many of her inspirations draw directly from this quaint town. It is said that the ceiling of the Cathedral inspired the Great Hall in Harry Potter. For all those muggles out there that are huge fans – this is a must see! Surrounding the Cathedral is Cathedral Green. The absolute perfect place to have a picnic, or meet friends for lunch. On a summer day, you can be sure to find families out enjoying the sun, couples on a date, and friends hanging out. Better yet, the Cathedral Green is surrounded by cafes and shops. My personal favourite is to have a good old cup of tea at Tea on The Green, as it overlooks the Cathedral. Can’t forget the scones and clotted cream – there truly is nothing like clotted cream. While walking around Cathedral Green be sure to browse all the shops nearby. Calling all Harry Potter fans – make sure to visit Gandy Street. Gandy Street is said to have inspired Diagon Alley. Be sure to stop by Ole Firehouse as it is the inspiration for The Leaky Cauldron. Not only does Ole’ Firehouse have a mean order of fish and chips, but its pizzas and flavoured ciders are a MUST try (go for the veggie option of course)! 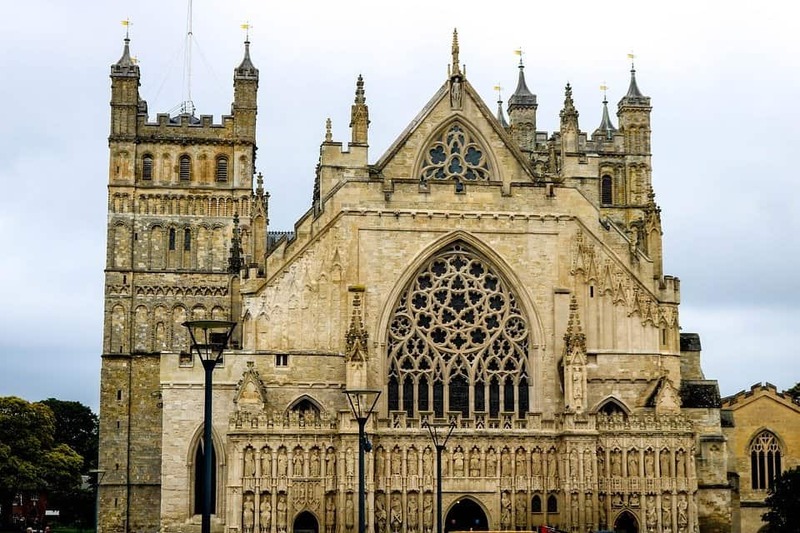 Have you ever been to good old Exeter in Devon County? 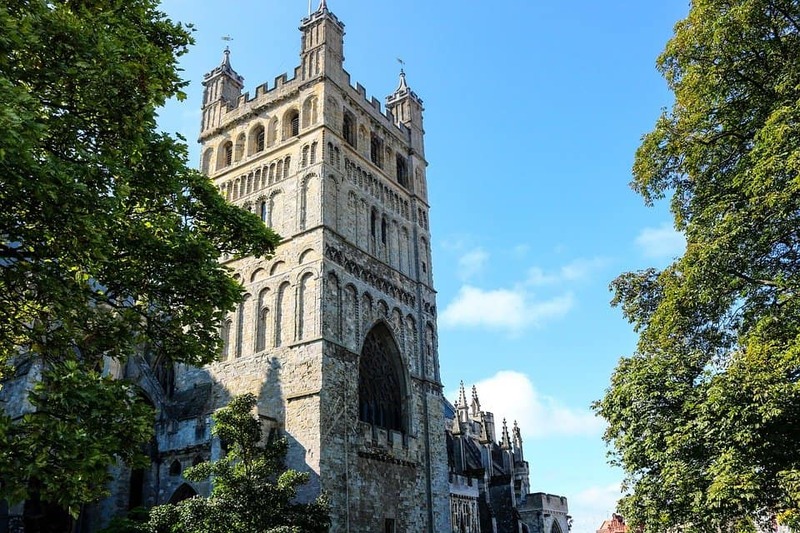 What are your favourite bits of Exeter? 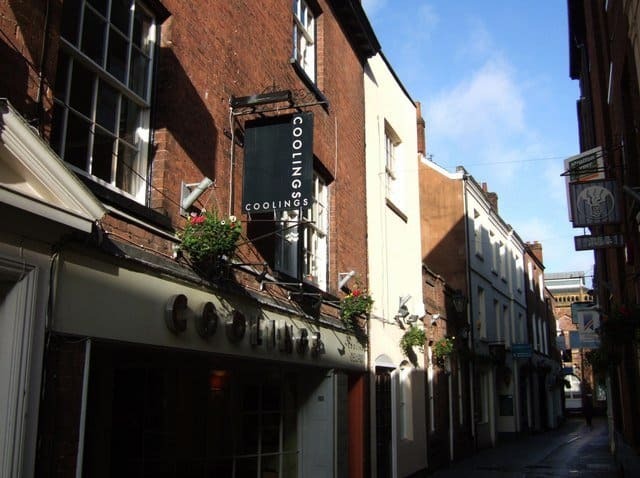 Asking a non-Muslim to explore ‘Muslim-friendly’ Exeter? Great for the heads up on nice places, but not sure how relevant it is for the Muslim reader who wants info on halal food, mosques etc? People want info on the activities as well. And we did recommend food options.